– Breast cancer is the second leading cause of cancer death in women. – More than 250,000 new cases of invasive breast cancer will be diagnosed in 2017. – Over 40,000 women will die from breast cancer this year (1). 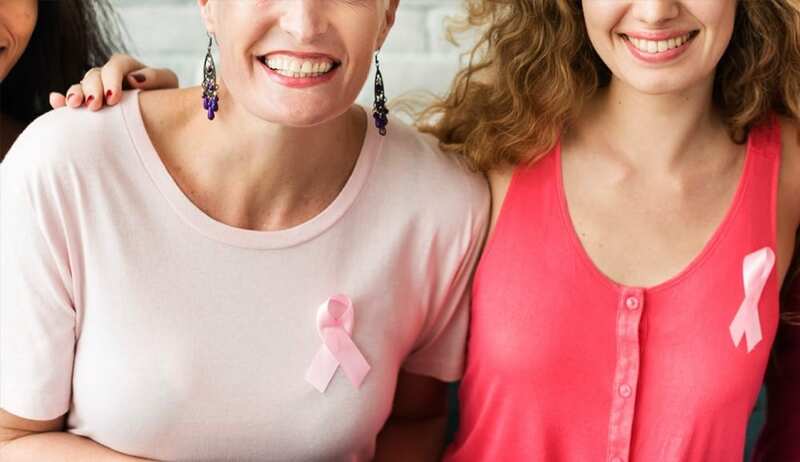 These are the hard facts about breast cancer, and death is a frightening possibility for the women (and some men) who face this disease. However, with the often heavy focus on ‘surviving’ breast cancer, I want to bring attention to an often overlooked aspect: The important question of how to improve quality of life during and after cancer treatment. 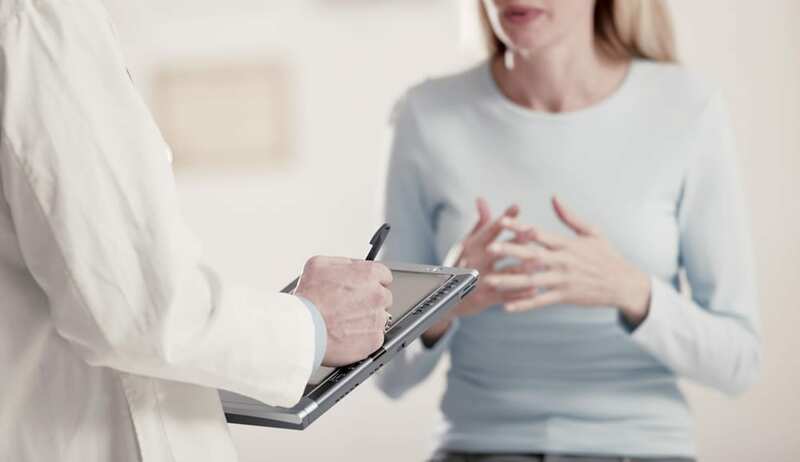 For people with breast cancer, there are many related symptoms and therapy side effects that impact daily life: Pain, depression, anxiety, sleep disorders, urinary problems, weight problems (2), osteoporosis, dry eyes, skin reactions, and tooth decays. Karen with her three children. 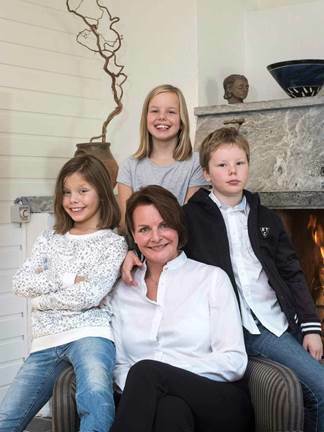 Karen, who lives in Norway, was diagnosed with stage IV breast cancer one year ago. She was the happy mother of three grade school children, and a practicing lawyer with her own company. A phone call from her primary care physician turned her world upside down. Tests revealed that the lump in her breast was malignant and that the cancer had already spread to many parts of her bone. Thousands of thoughts went through her head, none more disturbing than the question of how her cancer would affect her children. Karen’s initial treatment involved chemotherapy and radiation of the bone metastasis. In addition, she spoke regularly with a psychologist, and went for follow up testing with her primary care physician and nurse practitioner. The June article described her typical day: Getting the children ready for school, preparing meals, going to the hospital to take blood samples and helping the children with homework in the evenings. In between, she would sleep on the sofa, trying to recover from the exhaustion of her illness and treatments. As Karen continued battling cancer, a cat scan and MRI delivered more bad news. After half a year of treatment, there were no signs of tumor regression. Karen had never slept well, and now with the disease, everything was worse. Sleepless and alone in bed, anxiety had a tendency to crawl up on her. Her appetite was bad. She had pains in her chest and stomach, regular hot flashes from the hormone treatment, as well as dry skin and dry eyes. In addition, her doctor warned her she was at high risk for osteoporosis and fractures. While her family, friends and healthcare professionals were all supportive, Karen continued to worry about the future of her three children. I talked at length with Karen on the phone. 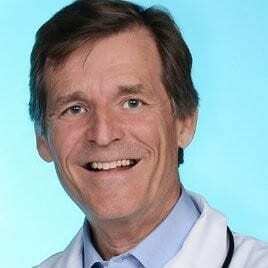 I explained the research and rationale behind the ingredients, as well as the melatonin and omega-3 dose provided in the custom-made Omega Cure vials. I wanted to make sure she understood that this was not the same as taking a few fish oil capsules and melatonin tablets. With this combination, she would be consuming two vials every night, delivering a total of 7000 mg EPA/DHA, 30 mg melatonin, 4000 IU vitamin D3 and 8000 IU vitamin A. Leading omega-3 and melatonin researchers recommend that these two substances be included in cancer treatment — especially since studies show significant potential benefits and few side effects. Still, I asked Karen to get her physician’s approval before adding the vials to her treatment regimen. No one objected, but they all admitted that they knew nothing about this science. One week later, Karen received her custom-made Omega Cure vials and started taking them nightly. She also got serious about changing her diet. No more pizza, bakery products or salad dressings rich in omega-6 fatty acids. No more pre-made dinners or fast food. After Karen had used the vials for a week, she experienced a strong improvement in sleep quality. “I haven’t slept this well in years,” she told me. This effect can be attributed to the melatonin, which has been well studied among breast cancer patients at the University of Copenhagen in Denmark (3). Over the course of the next weeks, she said her need to sleep during the day decreased. At the same time, I could hear over the phone that her voice had more vitality and enthusiasm. It is worth noting that both omega-3 and melatonin have recognized mood lifting effects (4, 5). After five weeks, Karen’s pain disappeared. Her dry, eczema-like skin cleared up, and she noticed her dry eye problems were gone. As time passed, her weight, which had been higher than usual after hormone therapy, normalized. Now three months later, Karen has started going to the gym and enjoys comments from family and friends that she looks healthy. Her energy level is back to normal, and she doesn’t need to take daytime naps. Her health care professionals have noticed another big difference too: Previously, Karen’s breast tumor, which was never surgically removed, measured 6 cm. Today, it has reduced to the size of a pimple. Her latest MRI also shows that the inflammation around several bone metastases has significantly diminished. There are no simple solutions to cancer. A multitude of factors are always involved in the development and continuation of a disease. I highlight Karen’s story, however, because it gives me an opportunity to talk about the science behind omega-3 and melatonin and how these nutrients influence cancer cells. Looking at the research, I strongly believe that these nutrients combined are key to improving the health and wellbeing of cancer patients. Before we get to the research, let’s tackle a few basics first: Every cell in the body has a cell membrane separating the cell from the external environment. All nutrients needed for the cell to function have to pass through this cell membrane. Also, every waste product coming from cell metabolism has to be excreted through this same cell membrane. But the cell membrane is more than a barrier controlling entries and exits. It also functions as the housing area for proteins that communicate with the internal and external environments, telling the cell what to produce, when to multiply and when to die. Inside the cell membrane, you find lipids and lipid-bound proteins that are sandwiched together in a bilayer. A closer look shows that these structures are uneven, with the appearance of small rafts floating around on a sea of more uniform substance. These so called ‘lipid rafts’ are dense but dynamic structures that contain more proteins, sphingolipids and cholesterol than other parts of the membrane. 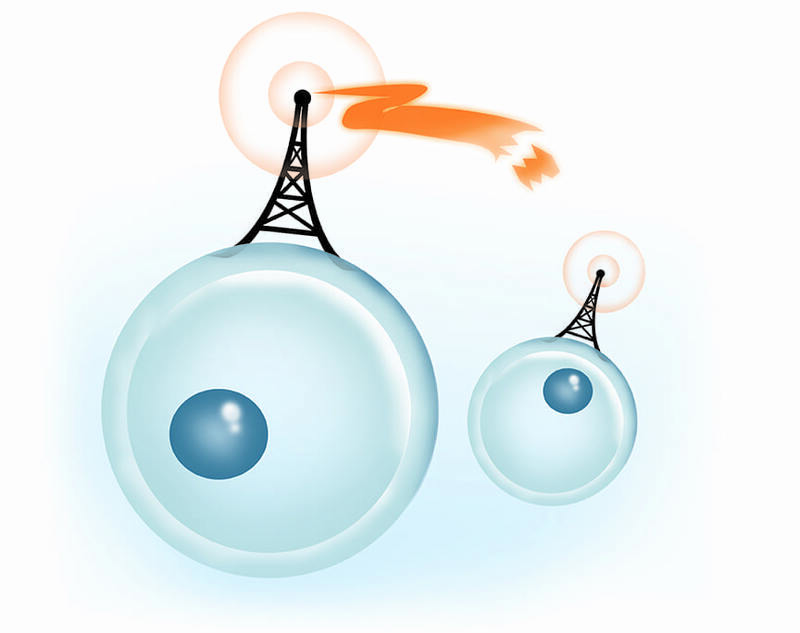 The lipid rafts function somewhat like telephone centrals in the cell: They connect an abundance of networks (proteins) and cables (lipoproteins). Good fatty acids, like EPA and DHA, in the lipid rafts help to regulate the flexibility of the cell membrane and reorganize the movement of membrane proteins (6, 7). In turn, this aids the cell’s signaling abilities. Simply put, omega-3s improve the cell’s signaling abilities by reorganizing the proteins that tells cells when to multiply, grow and die. Research shows that a large number of cancer cells, especially those that are drug resistant, have an unusually high number of lipid rafts (8). In addition, the lipid rafts in cancer cells typically contain more omega-6s, saturated fats and cholesterol — as well as significantly less omega-3 — than healthy cells (9, 10). Studies have also shown that if we deplete these lipid rafts of cholesterol, saturated fats and omega-6, as well as increase their omega-3 content, the tumors reduce in size and have a lower risk of spreading (11). In addition, they have a higher sensitivity to cancer treatment (12). It is interesting to note that melatonin also seems to be able to lower omega-6 and cholesterol content in the lipid rafts — probably by blocking their synthesis. Furthermore, melatonin is a powerful scavenger of wayward tumor cells and helps to reduce oxidative stress (13). How Do You Know If Your Lipid Rafts Are Healthy? The amount of cholesterol and saturated fats in the lipid rafts are not necessarily reflected by blood sample results. However, having increased cholesterol levels in the blood also increases the risk that cell membranes may contain too much of the wrong types of fats. This explains why popular cholesterol-lowering medications, like statins, can in some cases reduce cancer risk and cancer growth. Cancer and cell physiology is extremely complex. I certainly don’t propose to have black and white answers for the exact mechanisms needed to restore normal cell membrane functioning. In a simplified model, making these three dietary changes have been shown to reduce cancer risk and growth (14, 15, 16). In addition, they also have the potential to reduce the associated pain, depression and fatigue of living with cancer. As discussed above and as studies also show, omega-6s stimulate tumor growth and metabolism. The omega-3s, on the other hand, compete against the omega-6 molecules for the same enzymes and can replace them, if supplemented in high enough doses. Research also shows that when melatonin is added to breast cancer cells, it blocks the integration of omega-6 into the cell membrane and leads to a reduction in tumor cells (17). These benefits have important implications for cancer treatment. Consider one study from Canada, which showed that adding high amounts of omega-3s to breast cancer cells results in a 62% increase in cancer cell death compared to control cells (18). This research also clarifies why it is important to have a better balance of omega-3 to omega-6 fatty acids (19): If you consume too much omega-6, the omega-3 fatty acids will not be able to compete. This is why cancer patients in particular need to consider cutting back on processed foods, like donuts, french fries and salad dressings that are rich in omega-6s. 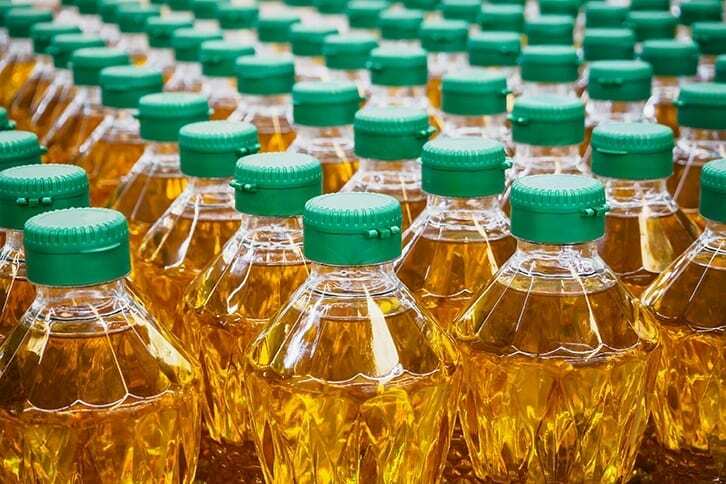 Omega-6s are found plentifully in vegetable oils like corn oil, soybean oil and canola oil. These types of oils are used to make many staples of the typical American diet — including baked goods, french fries and fried foods, pre-made salad dressings, chips and snacks, etc. The importance of having enough omega-3 in the body is further highlighted in one article from the University of Indiana, which speculates that the risk of a tumor spreading to other organs (and especially to the brain) may be related to low omega-3 content in these tissues (20). Another study from University of Texas shows that the omega-3 fatty acid DHA may also reduce bone metastasis (21). Numerous studies describe the ability of omega-3 fatty acids to reduce pain and chronic inflammation (22, 23), so it is not surprising that these benefits should extend to cancer patients as well. Melatonin also has pain relieving effects in many chronic inflammatory diseases, but has not been studied in cancer patients. 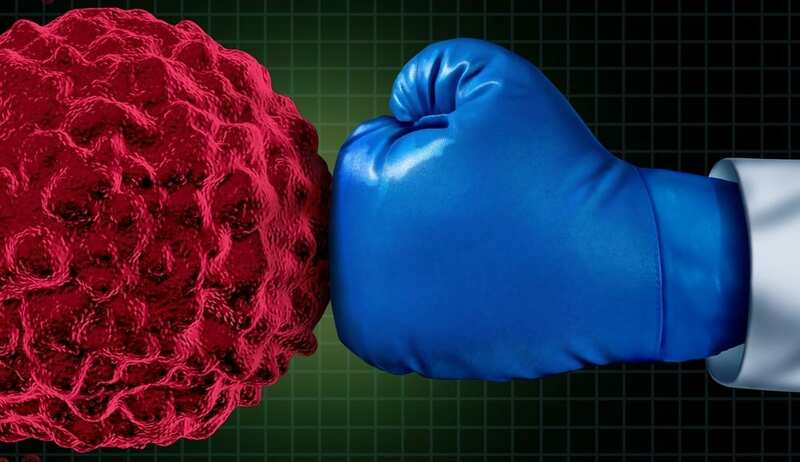 However, it is interesting to note that bone metastasis frequently is a source of pain caused by breakdown of the bone tissue from cancer cell signals. Both melatonin and omega-3 in high doses seem to reduce this bone destruction by blocking the signals, and could therefore be beneficial in cancer pain management (24). What’s the Best Omega 3 Dose for Cancer Patients? While no clinical studies have been performed to validate the correct omega-3 dose for cancer patients, cell tests typically use the equivalent of 5 to 10 g EPA and DHA in order to significantly change cell membrane structures and reduce cancer cell survival. That dose is the same as swallowing between 15 to 30 fish oil capsules daily. If you examine the research, you can understand why I am fascinated with the combination of fresh, full-spectrum omega-3 and melatonin. These molecules appear to have great potential for combating breast cancer and improving quality of life at the same time. In spite of their promise though, adequate doses of omega-3 supplements are rarely used in cancer treatments, mostly because swallowing handfuls of capsules and rancid, bad-tasting oil is not tolerated by most patients. This is where I feel particularly optimistic about Omega Cure, which has no fishy taste or smell, and which most people seem to tolerate without issues. Today, Karen says she is feeling extremely happy with the progress she has made. “You can’t imagine how much it means to know that I have more time and a normal relationship with my children again,” she said. Recently, her psychologist suggested that she didn’t need him anymore. Karen objected and said that it was important for her to have a support system in place. I agree. Good health is about combining a range of helpful strategies. Adding Omega Cure with melatonin is a part of that concept. 1. The American Cancer Society Medical and Editorial Content Team. How Common Is Breast Cancer? American Cancer Society; July 2017. 2. Imayama, I. et al. Weight, inflammation, cancer-related symptoms and health-related quality of life among breast cancer survivors. Breast Cancer Research and Treatment (2013). 140(1): 159–176. 3. Hansen, M.V. et al. Effect of melatonin on cognitive function and sleep in relation to breast cancer surgery: A randomized, double-blind, placebo-controlled trial. International Journal of Breast Cancer (2014). Aug 2014; 2014: 416531. 4. Hansen, M.V. et al. Effect of melatonin on depressive symptoms and anxiety in patients undergoing breast cancer surgery: a randomized, double-blind, placebo-controlled trial. Breast Cancer Research and Treatment (2014) Jun;145(3):683-95. 5. Su, K.P., Matsuoka, Y. and Pae, C. Omega-3 polyunsaturated fatty acids in prevention of mood and anxiety disorders. Clinical Psychopharmacology and Neuroscience (2015).13.2: 129–137. 6. Turk, H. F. and Chapkin, R. S. Membrane lipid raft organization is uniquely modified by n-3 polyunsaturated fatty acids. Prostaglandins, Leukotrienes, and Essential Fatty Acids (2013). 88(1): 43–47. 7. Levental, K. R. et al. Polyunsaturated lipids regulate membrane domain stability by tuning membrane order. Biophysical Journal (2016). 110(8): 1800–1810. 8. Ying Chun Li, Mi Jung Park, Sang-Kyu Ye, Chul-Woo Kim, Yong-Nyun Kim. Elevated levels of cholesterol-rich lipid rafts in cancer cells are correlated with apoptosis sensitivity induced by cholesterol-depleting agents. The American Journal of Pathology (2006). 168 (4): 1107-1118. 9. George, K. S. and Wu, S. Lipid raft: A floating island of death or survival. Toxicology and Applied Pharmacology (2012), 259(3): 311–319. 10. Li, Y.C., Park, M.J., Ye, S.K., Kim, C.W. and Kim,Y.N. Elevated levels of cholesterol-rich lipid rafts in cancer cells are correlated with apoptosis sensitivity induced by cholesterol-depleting agents. The American Journal of Pathology (2006). 168 (4): 1107-1118. 11. Corsetto, P.A., Cremona, A., Montorfano, G. et al. Chemical–physical changes in cell membrane microdomains of breast cancer cells after omega-3 PUFA incorporation. Cell Biochemistry and Biophysics (2012). 64: 45. 12. D’Eliseo, D. and Velotti, F. Omega-3 fatty acids and cancer cell cytotoxicity: Implications for multi-targeted cancer therapy. Journal of Clinical Medicine (2016). 5(2): 15. 13. García, J. J. et al. Protective effects of melatonin in reducing oxidative stress and in preserving the fluidity of biological membranes: a review. Journal of Pineal Research (2014). 56: 225–237. 14. Cutando, A. et al. Role of Melatonin in Cancer Treatment. Anticancer Research (2012) Jul; 32 (7): 2747-2753. 15. Newell, M., Baker, K., Postovit, L. M., and Field, C. J. A critical review on the effect of docosahexaenoic acid (DHA) on cancer cell cycle progression. International Journal of Molecular Sciences (2017). 18(8): 1784. 16. Garassino, M.C, Montorfano, G., Fallini, M., Adorni M., Berra, B. and Rizzo, A.M. A new biomarker in cancer patients: The arachidonic acid/eicosapentaenoic acid (AA/EPA) ratio. Clinical Cancer Research (2006) Oct; 12(19): A7. 17. Dauchy, R.T. et al. Inhibition of fatty acid transport and proliferative activity in tissue-isolated human squamous cell cancer xenografts perfused in situ with melatonin or eicosapentaenoic or conjugated linoleic acids. Comparative Medicine (2007) Aug; 57(4):377-82. 18. Patricia D. Schley, P.D., Brindley, D.N., and Field, C.J. (n-3) PUFA alter raft lipid composition and decrease epidermal growth factor receptor levels in lipid rafts of human breast cancer cells. The Journal of Nutrition (2007) Mar; 137(3): 548-53. 19. Mansara, P. P., Deshpande, R. A., Vaidya, M. M., & Kaul-Ghanekar, R. Differential Ratios of Omega Fatty Acids (AA/EPA+DHA) Modulate Growth, Lipid Peroxidation and Expression of Tumor Regulatory MARBPs in Breast Cancer Cell Lines MCF7 and MDA-MB-231. PLoS ONE 10.9 (2015): e0136542. 20. Siddiqui, R.A., Harvey, K., Bammerlin, E. and Ikhlaque, N. Docosahexaenoic acid: A potential modulator of brain tumors and metastasis. Journal of Biomolecular Research and Therapeutics (201) 2:e119. 21. Rahman, M., Veigas, M., Williams, P. J., & Fernandes, G. (2013). DHA is a more potent inhibitor of breast cancer metastasis to bone and related osteolysis than EPA. Breast Cancer Research and Treatment (2013). 141(3), 10.1007/s10549–013–2703–y. 23. Maroon, J.C. and Bost, J.W. Omega-3 fatty acids (fish oil) as an anti-inflammatory: an alternative to nonsteroidal anti-inflammatory drugs for discogenic pain. Surgical Neurology (2006) Apr; 65(4): 326-31. 24. Koyama, H., Nakade, O., Takada, Y., Kaku, T. and Lau, K.-H. W. Melatonin at Pharmacologic Doses Increases Bone Mass by Suppressing Resorption Through Down-Regulation of the RANKL-Mediated Osteoclast Formation and Activation. Journal of Bone Mineral Research (2002). 17: 1219–1229. I have not been diagnosed with breast cancer however I will use this as a preventative measure daily, right now I take 1000 mg of fish oil with 300 mg of Omega 3’s within the hell cap, and 1000 iu of vitamin D 3 along with tumoric and acai Berry and green tea daily! We’re glad to hear you found this article to be inspiring, Karen. If you want more personal guidance, please don’t hesitate to give us a call. Also, do make sure that your current omega-3 product is fresh, since freshness is crucial for safety and efficacy. Thanks ! This is my story. Glad that you understand the seriousness. Do you sell this specific high dose formula for breast cancer treatment? What is the monthly cost? I can not find it in the product listing. Many thanks! To learn more about the product mentioned in this article, please contact us directly. It is not currently available online.